I couldn't finish the level due to the mountain of glitches But I did manage to get it open in TresEd. 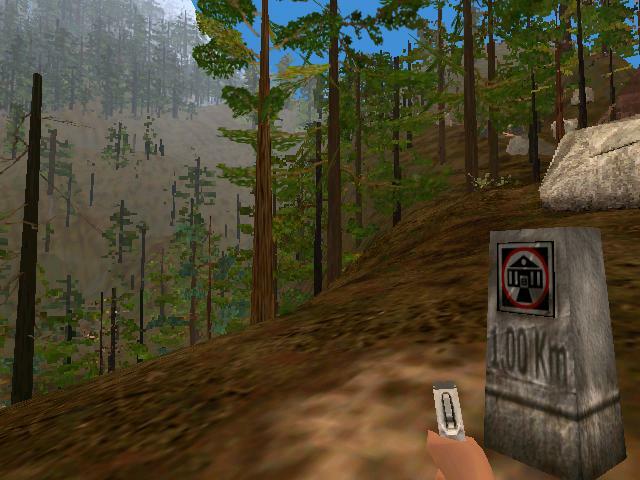 Yes there are a load of new voice overs in this level. Also the KM markers are intact. 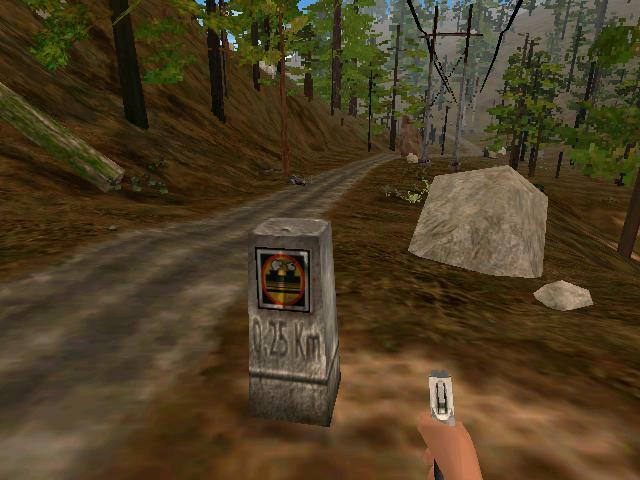 However the distance number increases the closer you get to the destination rather than decreases. There are some Mayan ruins up top but not a whole lot. In fact they are constrained to the terrain anomaly area. It's a stone wall with a series of alcoves in it and some remains of other walls further out. There is no Plantation House in this level, instead you get to find where someone eats their meals. Lots and lots of dead things. The ridge is there in this version. Likely to keep people from going around the plant, as Draco had figured. 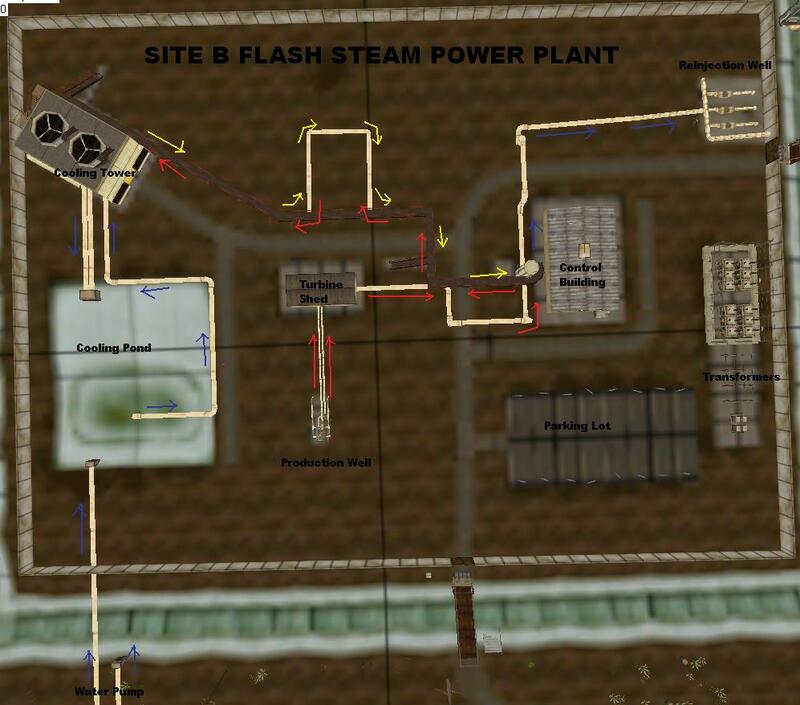 The Geothermal Plant (I can only see in TresEd, never managed to get that far in game) is fairly complicated. The pipes go in the same locations as mine do but at the same time they don't. Lots more complicated. However I did get the location of the production well and one of the injection wells right (There are two of them). The Control Room has a bathroom in the back as well as a small room with some kind of machine in it. The whole thing is adorned with signs marking each building/structure to tell you what you need to fix and there are appropriate lights on a wall in the Control Room. There's also electric fence around part of the transformers that isn't there in the Vivo clip. No View Building... At all. Not even a hint of one. The bridges are all electric ones kinda like the ones in the Summit that only activate once the plant has been started. The "peninsula"? Well, that was clearly its purpose... is there that road that goes over it in the texture? No View Building... At all. Not even a hint of one. The bridges are all electric ones kinda like the ones in the Summit that only activate once the plant has been started. Uh huh... that makes sense. Have you looked at the Lab level yet? I did notice one isolated marker just outside the walls of the Geo plant that seemed to indicated the distance to the lab buildings, but the placement made no sense. So far, the biggest diferences I've seen have been on IJ, AS1 and IT. Nope. IIRC, the image clearly displays the sign for the Geothermal plan, although I didn't pay much attention the distance. BOTH actually, one on each side. Just like I thought they would. The road that goes over it in the one texture image does not go over it in the actual level. Yes, it's practically identical to retail save for the fact that it starts in the harbor and that it uses the PV base texture instead of the Ascent base texture (which is odd considering that PV uses the Ascent base texture rather than the PV base texture). The Pylons aren't present. It's ok, I changed the title accordingly. EDIT: important thing: does the Lab feature the capacitor puzzle? Unfortunately no, , I was hoping for that as well. http://diehard.50webs.com/differentrockimage.jpg (I meant to name it "differentroadimage"
I'm the first person in 11 years to get the power plant working! To get in, shoot down the two planks holding the drawbridge up. "Control Room. Look pretty intact." OK, there's a monitor in the control room that tells you how much is left to do. 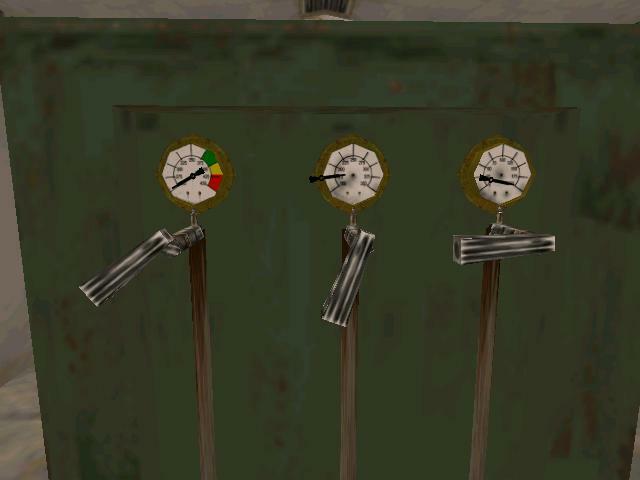 There are four puzzles that must be completed. This is the order I completed them. First you have to go to the Production Well (this is over what we know as the "pit" in the demo terrain). There's a red valve on it, turn it until the sound file plays. Now go back to the Turbine Shed (the sound here is DEAFENING). Crouch in and turn on each one. The four boxes are the up in relation to this diagram. Once you turn these two buttons on then the plant is back online! Congratulations! Enjoy the music! "MUSIC - ISLAND POWER RESTORED"
There's an injection well behind the Control Room as well, btw. Wow this thread is amazing! Omg! So there are a lot of new voice overs, even Hammond?! I'm downloading the beta now as I speak (just got home). Wow. I'm gonna go through the TPA and have a look around for stuff. I wonder if I will have to redo my Hammond memoir now? Haha. 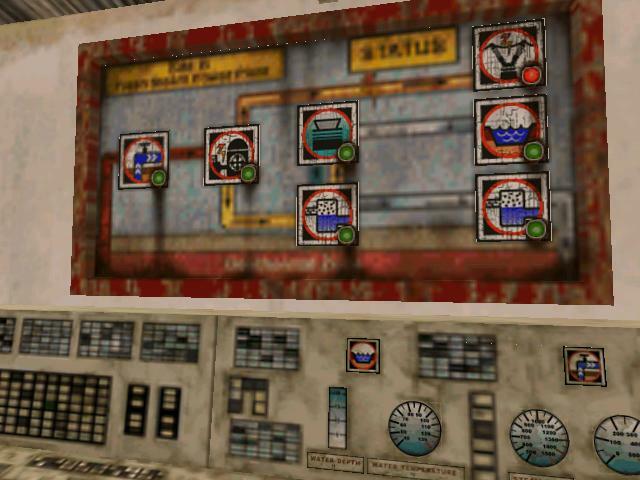 Here's a map of the power plant pointing out the various locations within it, as well as the movement of water/steam in and out of the plant. Man this is awesome!!! Call second on geo plant -- or "Site B Flash Steam Power Plant"
Yeah the Rex call scared me for a second but once I got there I found that I was able to go around the Rex without even activating him.